We have LOTS of artists that work with Glossa across the country…below are little mini bios of our Cincinnati “hometown” artists with photos of their work. Throughout the website you will see photos of ALL of our work collectively. Although we all have different styles as artists (very similar but different), one thing that is the same is the “Glossa Standard” of artistry. For Lyndsey’s full bio check out “Who we are” section of the site but below are some images of Lyndsey’s work. Carmen is an asset to the Glossa team. She has worked with Glossa for 9+ YEARS! Many brides from all over the city as well as production companies have RAVED about their experience with Carmen. You can see past Bride compliments and accolades on the GLOSSA BLOG. Carmen is our peace maker, super chill personality that can pull out any form of makeup artistry for any skin tones and style. Angela started out as a Glossa intern and literally studied her way into amazing makeup artistry. She has a wide range of experience professionally and artistically. Angela has a lot of energy and excels with a “classy glamourous” look. Want a well seasoned artist? Kat is your girl. She has been working in the makeup industry for 20+ years. Kat is kind, uber reliable and a joy to be around…on top of her industry knowledge, experience and talent…she is a true artist. Stephanie my be the “newest” member of the Glossa team (if you consider 5 years with us to be new), but her passion and product knowledge are incredible. Stephanie is quiet but she knows how to take care of her clients and accommodate all needs. We love watching Stephanie grow with her natural talents. If you are booking a fitness competition appointment with us, most likely, you will see Melissa there. Melissa has managed or been an artist for over 7 years for fitness shows in all parts of the country. She has worked on the industry’s top PROS and armatures at national and pro shows, even at the Olympia. You can see her work editorially on the Bodybuilding.com “Bodies of Work” shoot in Las Vegas two years in a row and Oxygen Magazine. She loves the dramatic look and knows how to make our clients feel their best while stepping onto stage. Melissa is our humanitarian, with a heart of gold she loves serving the community, God and her clients passionately. Melissa keeps the mood light while keeping the pace flowing on those early competition mornings. 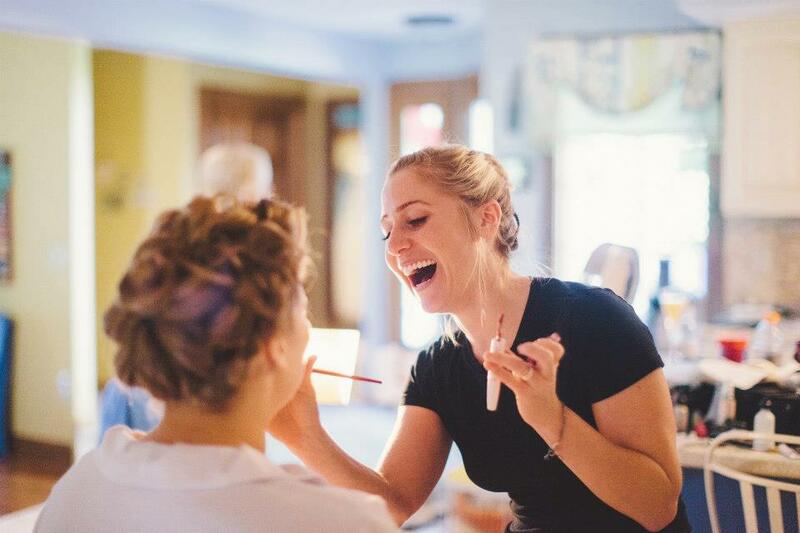 Melissa is a professional at any form of makeup or hair that she does including dance, weddings and color/cut but most of her work with Glossa is in the fitness competition world. Did someone say, “Take me to the Movies?” Jason is our resident celebrity…Jason works on some of the biggest movies and projects that come into the Cincinnati area. He is an expert at Special Effects work and can do anything you can dream of with the right tools and budget. 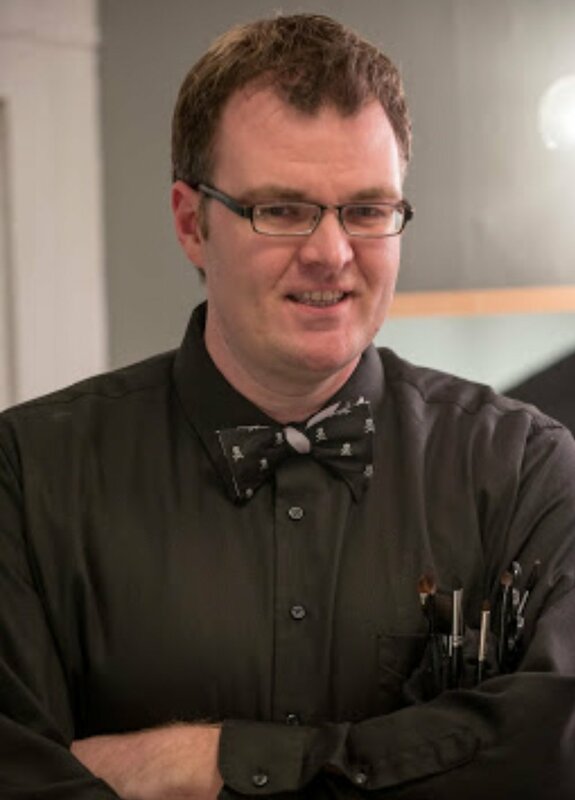 Jason is a member of the Union and other well known professional makeup artist organizations. To us, we jokingly call him Kevin, or the Glossa Guy. Jason is hilarious and has a gift of making his clients feel super special while also being professional.